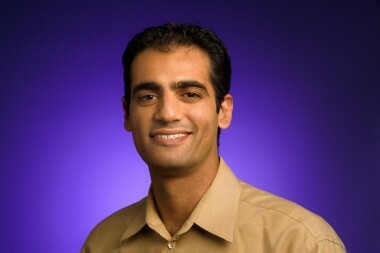 If you’ve visited Google Shopping recently, you might confuse the search giant for a retailer. At the top of the Shopping page, a photo shows a snowboarder floating down a mountain on a clear blue day, directing consumers to a page where they can compare the lastest ski equipment. Another link sends consumers to a Garnet Hill catalog, where they can see an electronic copy of the print version that normally clogs mailboxes. 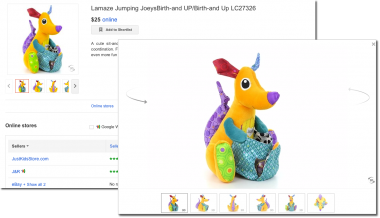 A deeper dive into the Shopping experience reveals that some of the product pages have a blue button in the top right-hand corner that could easily be mistaken for Amazon’s “Add to Cart” yellow button. Behind closed doors, some have wondered if Google was building up the infrastructure before making the move into selling physical items. Along with the updates to the site, another recent announcement that got people chatting was when Google announced last month that it acquired BufferBox, a locker service where consumers can safely pick up packages. Samat said that BufferBox had nothing to do with becoming a retailer; it was about helping other retailers to become more competitive. Of course, one of those companies is Amazon. The technology powerhouse has been working for almost two decades at building out the infrastructure to store merchandise all around the world. It has also built a first-class consumer-facing business that sells and distributes nearly anything you could need, as cheaply as possible. Over the past year, the Google Shopping team has been busy adding improvements to the site. This summer, Google completely overhauled its shopping experience. While the move has remained fairly below the radar for consumers, it has been very controversial among merchants. In fact, Samat jokes that at some point he’ll receive “The Least Popular Dude” award. That’s because in the new system, retailers must pay to ensure that their products show up within Google Shopping. Previously, merchants could upload their data feed for free. This is the first holiday season in which retailers have had to pay to participate, and despite the service being so new, many retailers are reporting good results. Google has made some major technology improvements, too. It built an imaging system that creates 360-degree photos of the products. While it’s still not like being in the store, you can get a better sense of the product when you can see an item from all angles. Look for the “3-D” swivel icon on the product image to get the 360-degree view. It’s not available for that many products at this time, but Google did put together a Holiday Toy Collection, featuring 3-D images for each of the items. There are at least a couple of hints that the photos aren’t a completely smooth-running operation yet. Google had to purchase all of the toys in the collection in order to take the photos, and, as Samat found out, those Lego kits don’t build themselves. Google’s goal of becoming a retailer’s best tech friend may sound noble, but it is also smart. Amazon is already a starting point for many consumers on the Web, especially when it comes to shopping. Google obviously wants to be the first destination people visit for pretty much anything. Additionally, the Seattle company is encroaching into other territories, including consumer electronics, like the Kindle Fire, which, coincidentally, runs on Google’s Android operating system. Amazon also distributes digital content and provides back-end cloud services to enterprises. Google is not the only technology retailers can turn to if they are feeling competitive pressure from Amazon. Just down the road is a major player in the retail services space: eBay. The San Jose-based company has spent more than a year making inroads into the space, by forming tight bonds with a number of big retailers and by acquiring a company called GSI Commerce, which provides a lot of the back-end services mentioned. Looks like it’s not just the consumer’s pocketbook that businesses are after anymore — it’s the retailer’s purse strings, too.